Click here to se our different kinds of cabins. We have boats with 30- HP outboard motors, 40 HP and dieselboats for rent. They're located at Uggdal. 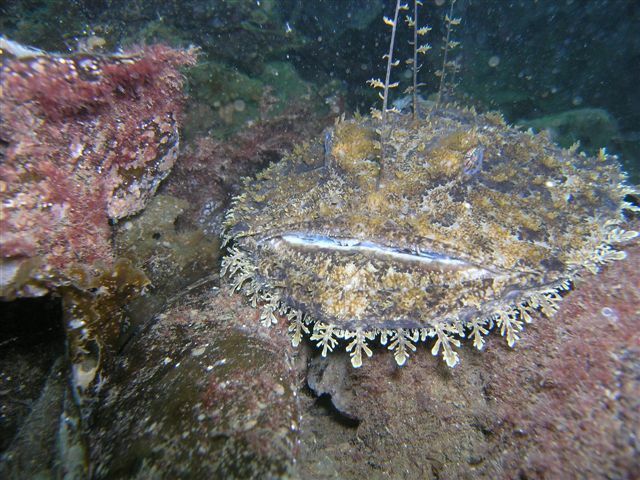 Life jackets and sea charts are included and we have echo-sounders available for rent. You find the pictures here! Tysnes is located in beautiful surroundings. It is only an hour and a half by car/ferry from the centre of Bergen in the north or Haugesund in the south. Both cities can be reached by ferry or plane. Directions from Bergen: Follow the E-39 direction Stavanger to Halhjem ferry quay and take the ferry from Halhjem to Våge. 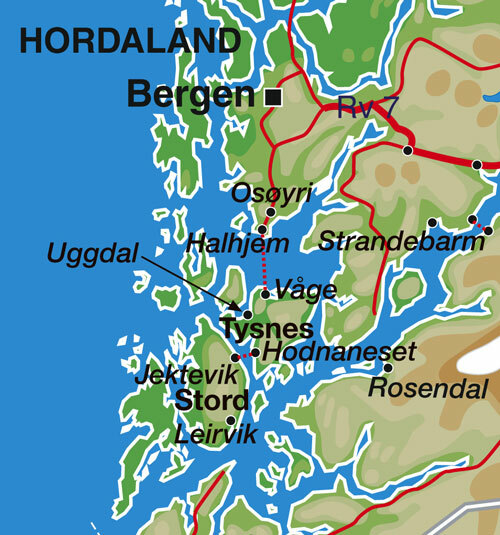 Directions from Haugesund: Follow the E-39 direction Bergen to Stord, Jektevik ferry quay and take the ferry from Jektevik to Hodnanes. 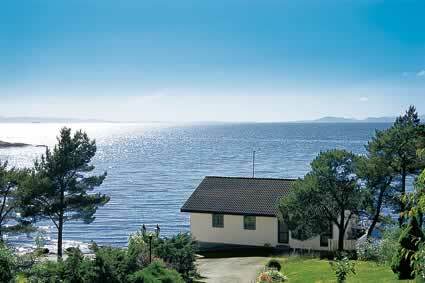 More information about Tysnes is available at www.angelferien.no.